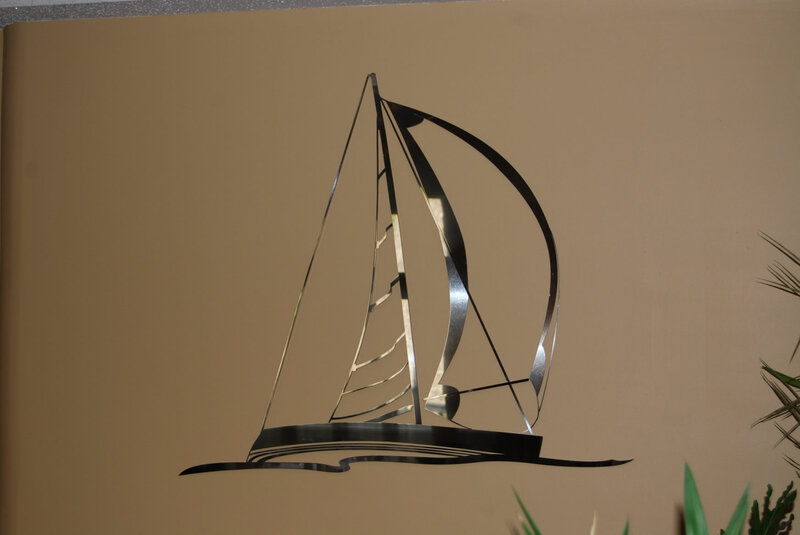 "Tailwind" 48 inches tall #3 of 50, mounted to sheetrock display wall. 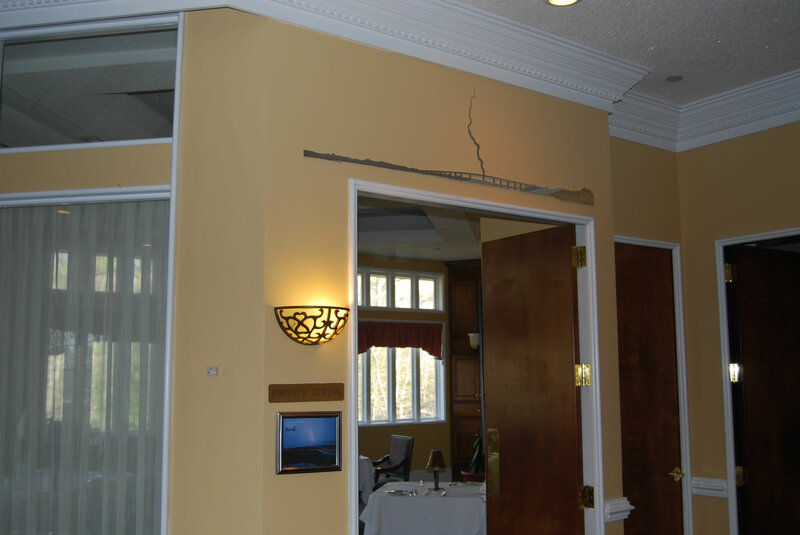 This wall is not a part of the artwork but was built more as a demonstration of how it mounts to a drywall surface without any outward evidence of support. 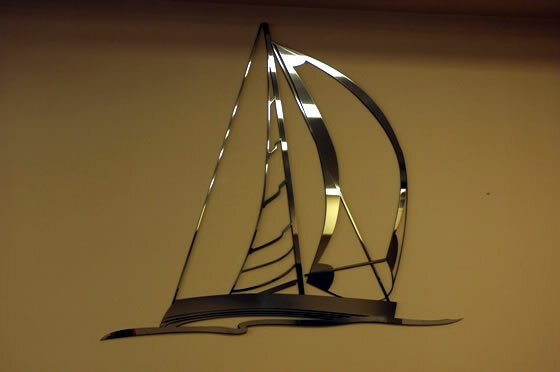 Offered in mirror finished stainless steel at $1500 plus applicaple shipping charges. 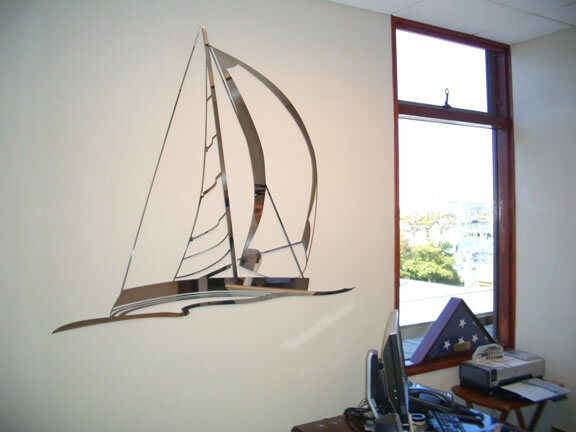 Produced in limited numbers, these precision cut, mirror finished, and hand assembled sculptures mount flush to your drywall surface in two pieces using simple hand tools. Designed, drawn, and engineered entirely in house, the backings are cut from 16 gauge steel that is painted black so as not to be seen, and the outermost finish materials are cut from 11 gauge mirror polished(#8 grade finish) stainless steel. 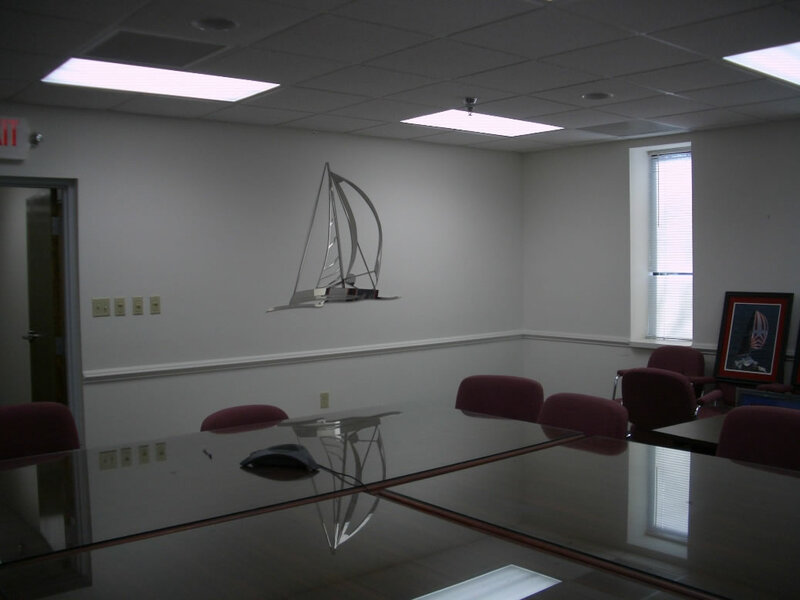 The two assembled pieces of this sculpture are attached to your wall using a proprietary and patented method designed specifically to be both user friendly, and durable. While any installations local to Maryland are free, they can also be shipped anywhere in the world using a purpose designed, and tested, shipping/storage container. 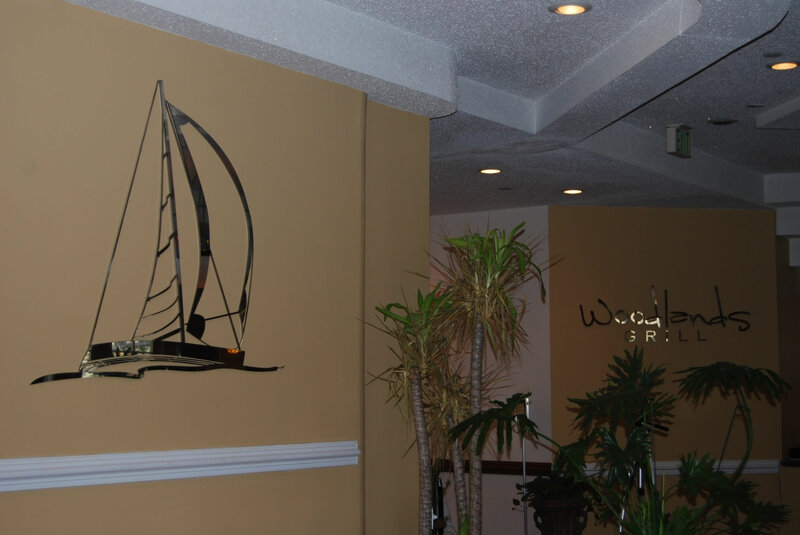 In the event you do have your sculpture shipped, it will come complete, with the exception of the simple hand tools, with everything required to mount it to your wall. Feel free to call Brian Page (301-247-9353)anytime for sample instructions, shipping costs, or any other questions you may have. 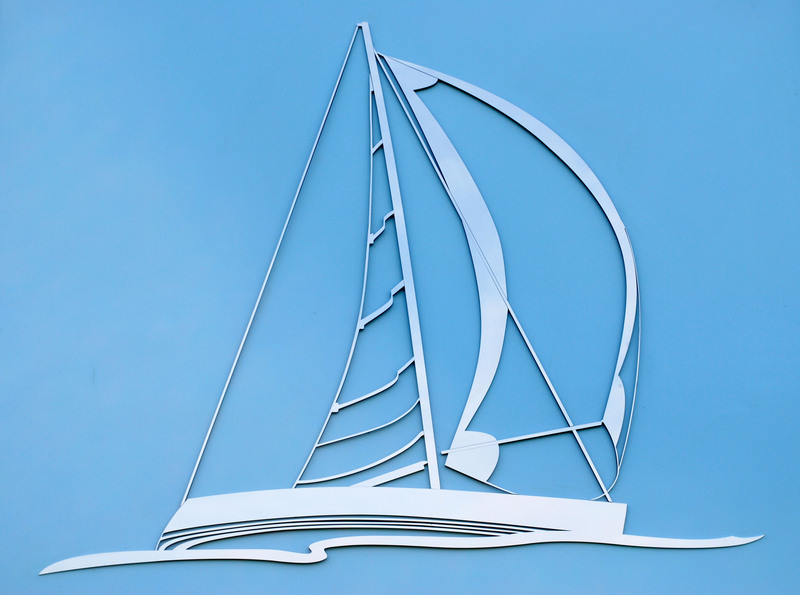 Twelve pieces of laser cut stainless steel designed so as to give a perspective of wind direction in just two dimensions. 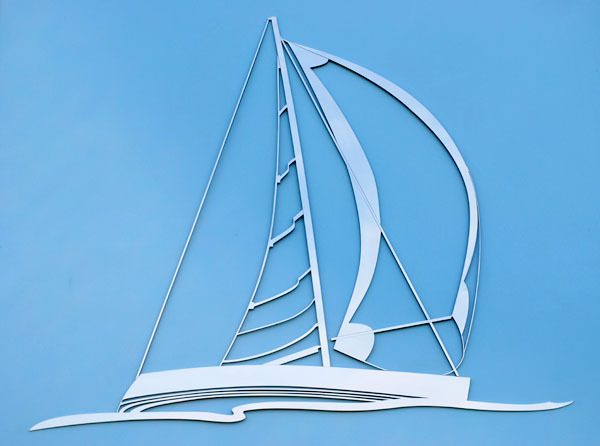 Take note that the forestay has been designed to appear to be in front of the port side of the spinnaker sail and behind the boom for the starboard side of it. The "ripples" that can be seen in the main sail are because the sail is leaning heavily on the port side shroud line. Both sails show that the wind is coming from the starboard and stern of the boat. On June 23, 2006 at 1 o'clock in the morning I conducted an experiment. I attached my digital camera to a tripod, and waited patiently with my finger on the trigger. There was a great deal of lightning going on that night and out of about 70 shots(most of them pitch black, having missed the lightning) I managed to get five good freeze frames of lightning striking the ground. 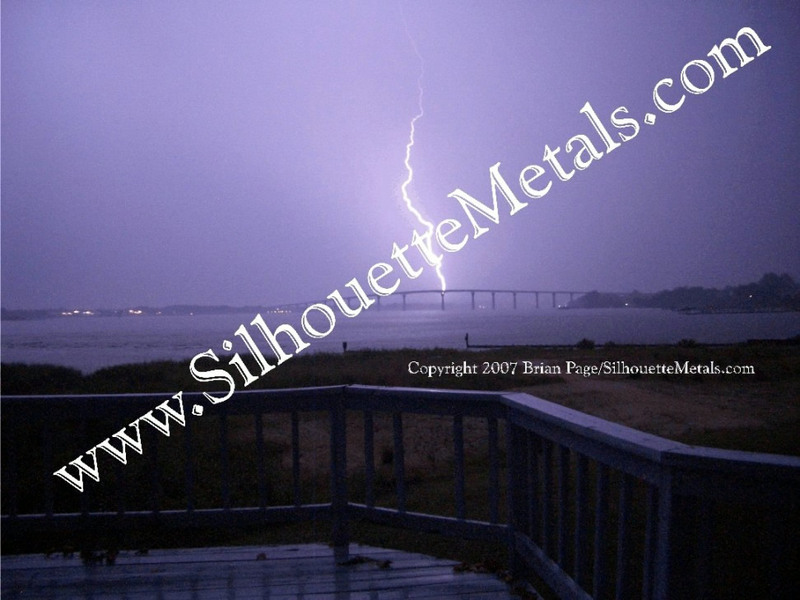 Out of those five, I caught a once in a lifetime shot, a bolt of lightning striking the Solomons Island bridge. And it wasn't just any strike either. It struck the bridge dead center just over one of the pilings. 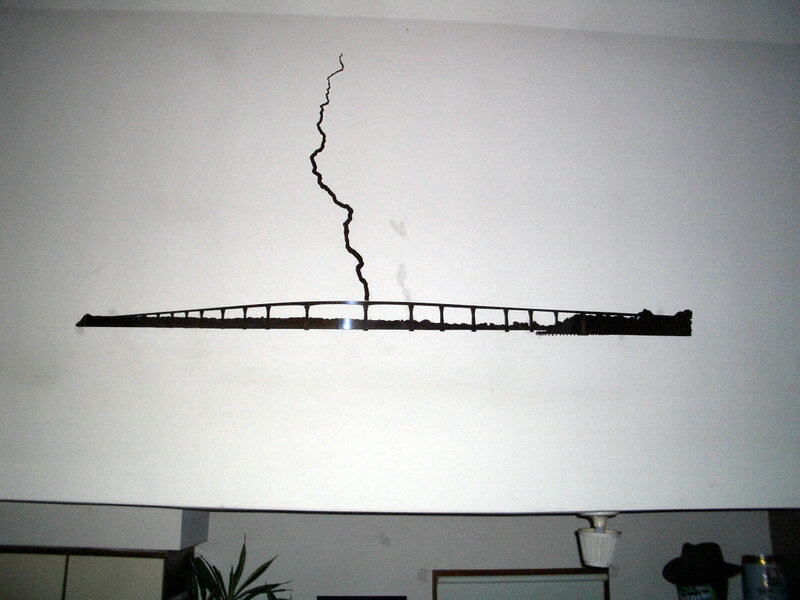 It is easy to tell that it hit the bridge because, if you look carefully, you can see the dot of light, at the bottom of the bolt, and under the span of the bridge. This light is the bolt going around the far side of the span and grounding to the piling underneath. The dot of light can be seen because there is a gap between the piling and the span of the bridge. 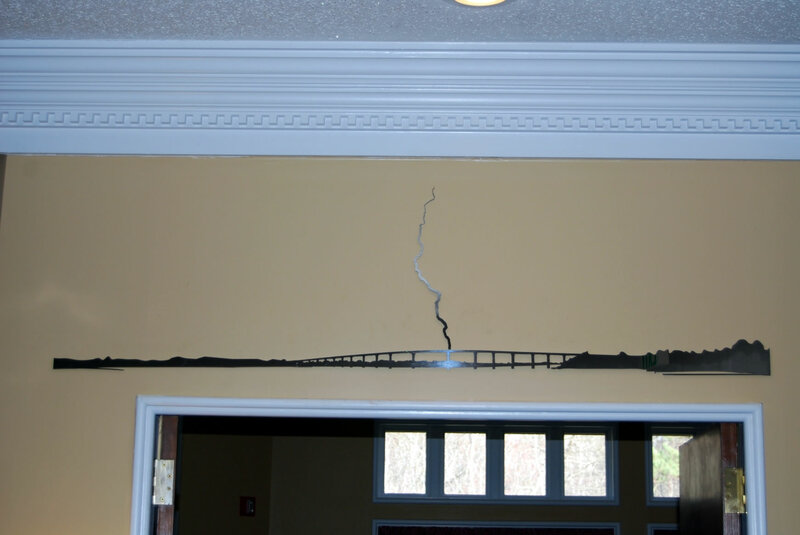 This strike did not hit any of the three lightning rods present on the bridge. Here you will see two versions of the sculptures I have made from this photograph. Both versions are about six feet across. The first one is simple, as both the inner and outermost layers of steel are each one piece, but it lacked the detail that I was after. There were only four of these made and two are still available. 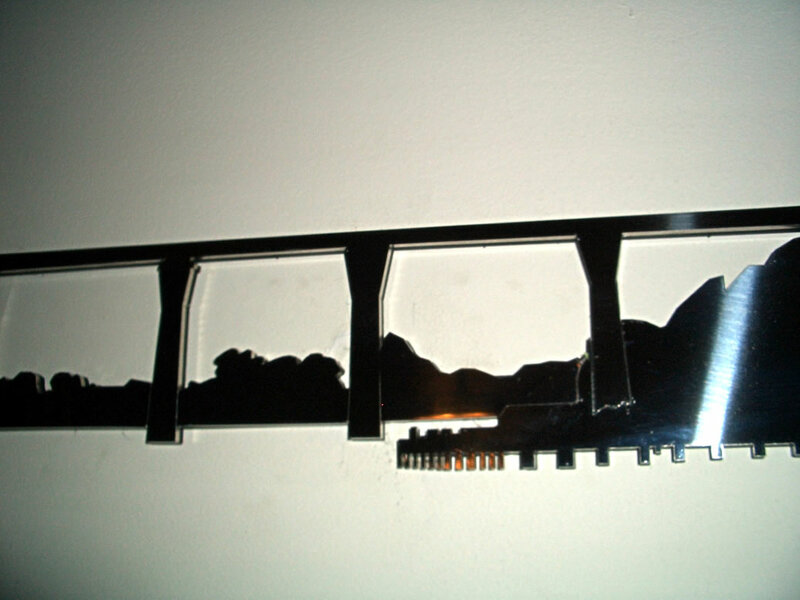 The second version was created to show the detail of the bridge and the land behind it. The bridge itself is all one piece, but it breaks up the pieces of Solomons Island to show that it fades off into the background behind the bridge. All in all, there are 19 pieces that make up the outer finish of the second version. While still six feet wide, the scaled up lightning bolt makes this piece about three feet tall. Any sculpture purchased will come with a framed, and signed, 8.5 X 11 hard copy of this photograph to hang next to the stainless steel sculpture.